For better or worse, fast fashion has all but conquered the global rag trade. These stores have nailed the market for clothing basics–you know where to go if you need a T-shirt in every colour of the rainbow. But, from time to time, they also flirt with the higher end of the fashion world. I’m sure I’m not the only one interested to see what comes of the collaboration between H&M and Kenzo when it drops in November. 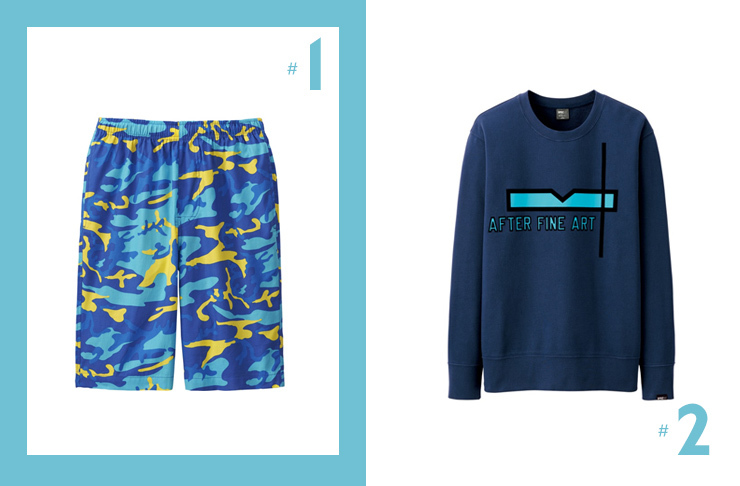 On a recent visit to UNIQLO, I discovered they are mixing it with the world of high art via their SPRZ NY line. 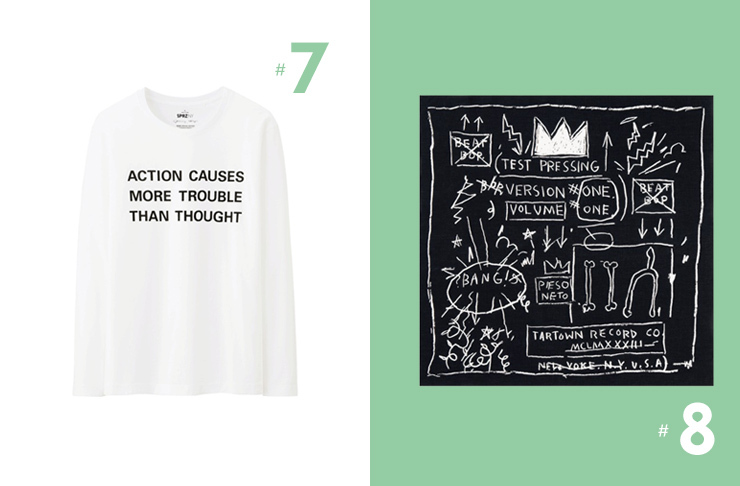 From Andy Warhol’s pop art to Jackson Pollock splatters, here are 8 ways to wear epic art on the daily. There is no artist more suited for collaboration with a mass produced clothing line than Andy Warhol, who made a career out of reproduction. And there are so many of his classic pop art prints to choose from, such as these camouflage print pjs. To add a further layer of textual complexity (hello #artwank), pull over this pullover designed by conceptual artist Lawrence Weiner. But if all of these slogans are too much for you, David Shrigley has your back. You almost wonder if the artwork he designed specifically for SPRZ NY is taking the piss out of the whole project. Are dots in or out of fashion this season? 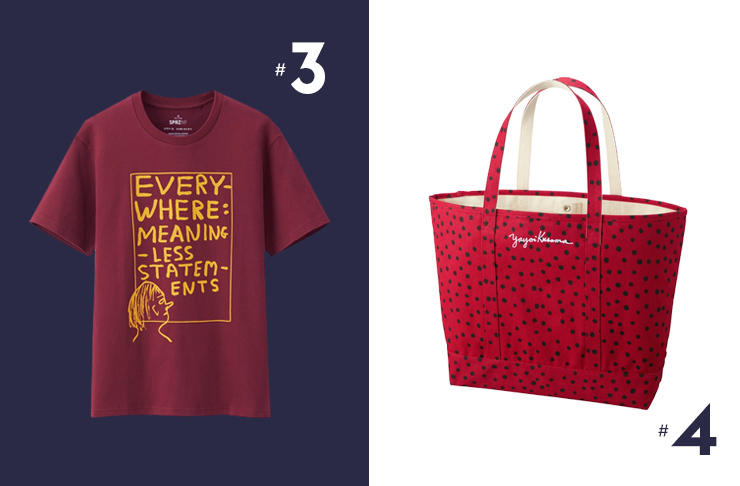 As far as Yayoi Kusama is concerned, they haven’t gone out of style since the ‘60s, so why not buy a tote bag covered in them! Whilst I always celebrate the start of trackie-dacks weather in winter, I admit it’s not the most chic look. 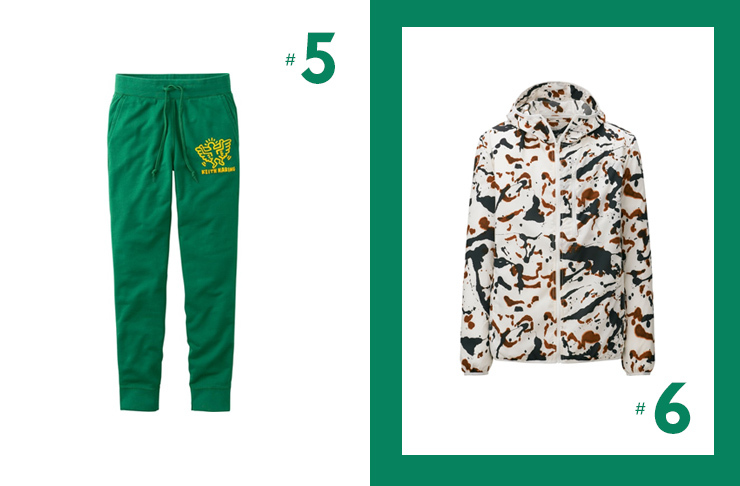 But I reckon I could get away with wearing these cute sweatpants with Keith Haring insignia to the local café for my morning coffee. Want to make a fashion statement, literally? A long sleeved t-shirt with a quote from a Jenny Holzer text work will turn heads. Mentored by Warhol, Jean-Michel Basquiat became an art superstar in his own right in the ‘80s. Evident in the idiosyncratic work reproduced for the Beat Bop bandana, there has never been another artist like him. Looking for more fashion inspo? Check out 8 Of The Best Beanies!